Watch Nagin 19th 20th December 2015 Episode Written Updates : The popular TV channel Colors TV serial “Naagin” will be having a terrific episode tonight in which Shivanaaya will be killing Suri. 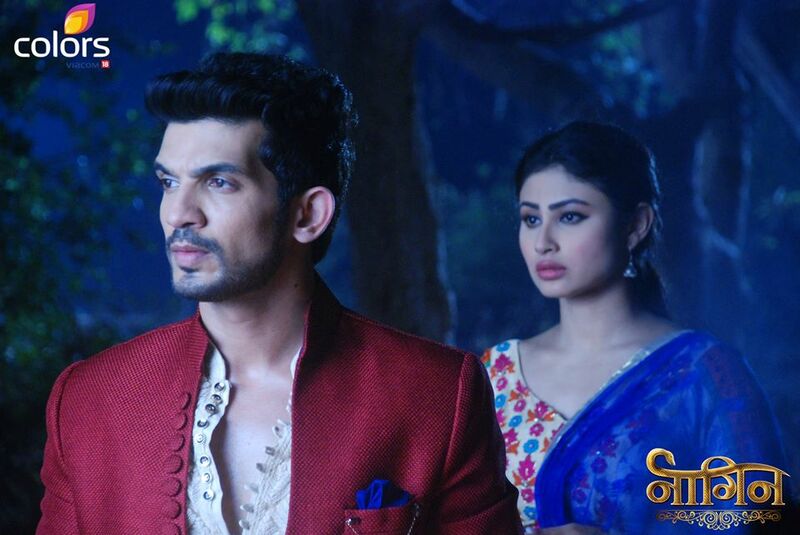 The last night episode starts with Ritwikh telling Shivanya that he is in love with her. So eventually, Shesha reminds Shivanaaya that Ritwikh is not her husband. Shesha explain Shivanaaya that if by chance an Ichchadhaari Nagin (Snake Woman) fall in love with a human then her destruction should be decided. Anyway, now Guru-Maa performed Pooja and sends a Hawk to catch Sesha and the Guru-Maa also said that the Naagin will die soon. Sesha gets getting severe pain and dizzy and thinks what is happening to her. She keeps her head under “Shiv-Ling” to saving herself from getting attack. Tanvi meets Ritvikh and shows him Shivanya’s childhood pic with her parents. Ritvikh remember everything after seeing Shivanya’s childhood picture and identifies her finally. Tanvi says Shivanya lied that she is seeing Haveli for the first time, but she is seen in front of Haveli. She heard her speaking over phone that she came here to take revenge. Ritvikh didn’t believed Tanvi and he says that he will not doubt his wife Shivanaaya with whom Ritvikh is desperately in love. Tanvi says she is not lying. Ritvikh says that Tanvi is in jealous with Shivanaaya so she is lying. Ritvikh leave Tanvi as well insult her. Ankush realized and he speak with Yamini that the “Nagin” is actually creates conflict the friends with each other, which leads to occurring of fights with Salesh and Suri. So Ankush and Yamini makes Sailesh and Suri reunited with each other also hands-over the Ring to him. Somehow Shesha get saves from Hawk. The Hawk now return to the Guru-Maa and Guru-Maa cures the Hawk by throwing Kumkum on it and asked that now the “Nagin” can’t harm it. In the mean time, Sesha takes form of Manisha and arrive in the Mandir with Suri. Where Suri strange to see that she is hugs with Sailesh, where Suri asked him that how she can deceive Suri. Manisha says about this that Suri have time for her, so she mixes up with Sailesh. So, fighting took place between Sailesh and Suri. In which Suri injured. Suri wanted help from Manisha asked her to give him her hand but Suri surprised to see that and he realized that she is a “Nagin”. Anyway, in tonight episode Suri will be attacks by Shesha and Shivanaaya. Suri also get to know that Shivanaaya is the “Nagin” anyway. The assassination of Suri will be witness by Ritwikh anyway.